USB Secure Software helps you to password protect USB drive, thumb drive, memory stick, pen drive, jump drive, flash drive and external hard drive. It supports plug and play and runs automatically once a USB drive is plugged in, asking you the password for it. USB Secure is hassle free and it doesn’t need a rocket scientist to master. 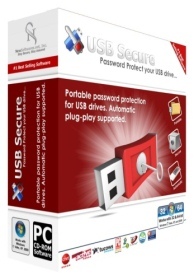 – Password Protection: USB Secure is a powerful tool to password protect USB drive and all other external portable media. No matter what type of external storage device you use, USB Secure password protects it within seconds. – No Administrator Rights Required: USB Secure doesn’t install any kernel or filter drivers, and therefore doesn’t require any administrator rights to password protect USB drive and other portable media. – Compatible Everywhere: The program works on all flavors of Windows i.e. Windows 2000/ Windows XP / Windows Vista / Windows 7.0. USB Secure works perfectly well on all external portable media like USB flash drives, Thumb Drives, Memory Sticks, Memory Cards, Pen Drives and Jump Drives. – Autoplay Feature: Full plug and play is supported that lets you automatically protect USB drive and all such external storage devices currently plugged into your PC. – Complete USB Security:Whatever information, files, folders and documents you put in your USB drive, USB Secure keeps them completely secured. – Reliable and Independent: USB Secure lets you protect USB drive’s data by using several layers of patent pending protection methods. This makes its protection, PC and hardware independent. – Peace of Mind: Total peace of mind from security leaks and privacy breaches. Never again fear of what’s happening to your device while it is lost. – User Friendly Interface: USB Secure is easy to install, run and use. It doesn’t complicate its users with technical jargon common in other encryption programs. – Ease of Use: A very easy to use program with user-friendly interface. – Affordable Software: USB Secure is a new addition to our robust collection of affordable and reliable security applications. You need not to shed hundreds of dollars to protect USB drive! In this version update, some minor user-reported bugs have been resolved. As the most professional video converter, Tipard Video Converter can easily convert almost all video formats including MPEG, FLV, MP4, 3GP, MOV, AVI, etc., and even the High Definition video files(HD videos). Furthermore, this HD video converter can convert various audio files and also extract audio from videos. 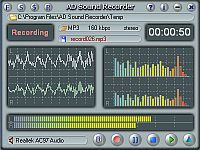 The converted files can be enjoyed on your iPad, iPad 2, iPod, iPhone, iPhone 4, Apple TV, PSP, PS3, Wii, Zune, Xbox, Sony Walkman, Google Phone, BlackBerry, etc. Plus, after comprehensive upgrade, Video Converter has adopted NVIDIA® CUDA™ technology, AMD APP Acceleration and multi-core CPUs supporting technology, the converting performance is superior than ever before. After newly update, it now highly supports inputting and outputting WebM general video and HD video formats. Then users can easily enjoy more open video sources and have more fun! Connectify Hotspot PRO is an easy to use software router for your Windows computer that lets you transform your laptop into a Wi-Fi hotspot so you can share a single Internet connection – such as wired ethernet, a 3 or 4G card or adapter, even another Wi-Fi network – with your friends, co-workers, and mobile devices. 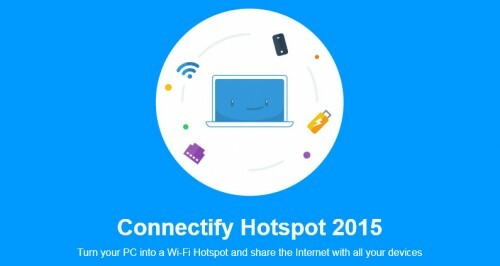 With Connectify Hotspot PRO, you can turn your Windows computer into a real Wi-Fi hotspot that shares that single 3G/4G connection with any other Wi-Fi enabled devices. You'll maximize the value of your 3G/4G card and get all your peripherals online at the same time! For the modern traveler, Internet connectivity is a lifeline. Airports, Hotels, and Coffee Shops know this and charge accordingly for Wi-Fi access or only supply you with an ethernet jack, which leaves Wi-Fi only devices and smart phones in the dark. With Connectify Hotspot PRO as your software-only travel router, you can connect to ANY available Internet connection (including 3G, 4G, and mobile broadband), start a hotspot, and get all of your devices online simultaneously, and at a fraction of the cost. – Unlimited Hotspot Uptime – No time restrictions, run your Connectify Hotspot 24/7. – Share Wi-Fi from 3G/4G Networks – Connectify Hotspot PRO supports sharing Internet from 3G/4G cards in addition to a wide variety of other USB cards and dongles. Turn your 3G or 4G USB stick into a real travel router. – Fully Customizable SSID – Name your hotspot whatever you want! (Hotspot Lite requires your hotspot name to start with 'Connectify-'). – Wi-Fi Extender Mode – Extend the range of your home or office Wi-Fi with just a few clicks. – Drag & Drop File Transfers – Easily share files of any size, directly to both devices connected to your hotspot, and to other Connectify Hotspot users on the same network. – AutoInternet Selection – Automatically configure your hotspot's Internet sharing settings. – Dispatch Integration – Share your Super-Fast Dispatch Connection with Connectify Hotspot PRO. "RAM Saver Pro" is an easy-to-use RAM optimizer tool that will keep your computer running faster. It increases the operation system performance by making more memory available for your applications. Using these optimization tricks will help your favorite applications and games will run faster and more efficiently – even on old computers. 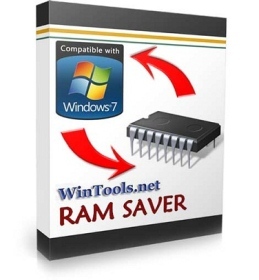 "RAM Saver Pro" program consists of two basic parts: System Tray – module and Control Panel. • possibility to create "boosted shortcuts"
Virtually shift the angle at which you shot your photo. 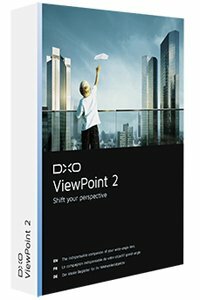 The shift point of view tool lets you change your shooting angle after the fact so that it is perfectly in line with the image you want to produce. You can reposition your camera vertically as well as horizontally – a real plus for achieving a precise effect. 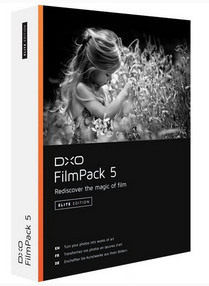 DxO FilmPack , a major new version of DxO Labs’ popular analog film simulation and creative effects software, adds 65 even more aesthetically-pleasing renderings and stunning new effects to help photographers give their photos greater emotional impact as well as a unique style, whether in color or in black & white. With DxO FilmPack , photographers can apply to their digital photos all the characteristic color, contrast, and grain of analog films that made photographic history, along with many original looks, filters, tonings, and visual effects — all of which can be infinitely combined and customized. Add grain to your digital photos to recapture the authenticity of an analog film. Give character to your images and discover a new photographic dimension by using the many grain effects available in DxO FilmPack. Use the Denoising tool to eliminate the digital noise in your images taken at high ISO and to replace the noise with a veritable analog film grain. With the Textures tool, choose among a wide variety of textures – scratches, stains, grains, or wrinkled papers – to give a vintage aspect to your photos. Fine-tune the intensity and the orientation of your effect and then use DxO FilmPack’s intuitive controls to apply it to a toning. Using the Light leak palette, simulate the accidental exposure to light of a film cartridge, and reproduce the areas of overexposure or color saturation on the edges of the image. Select the type of effect you want to apply, its orientation, its intensity, and change its position as you wish. Use the Creative vignetting effect to reveal the spirit of your digital image: use the many available settings to darken or lighten the edges of your image to show off your subject, depending on the composition of your photo. With the Blur tool, you can apply a blur Vignetting effect along the perimeter of your image in just one click, so as to draw attention to a subject, or apply Soft Focus to reproduce an overall artistically blurry effect. Place the center of the effect in the image with one click, and then fine-tune the parameters — intensity, radius, transition, roundness, and diffusion. DxO FilmPack provides you with many original creative renderings: up to 39 color and black & white designer presets are available. Vintage effects, aged photos, improbable tints: give a unique style to your photos. With the Poetic preset, recreate the warm tones and past colors of an old American series. With Red tone, warm up the colors to capture the evening light. Use Photo 1900 to reproduce all the sweetness of sepia enhanced with a fine grain. Explore an infinite field of possibilities with DxO FilmPack’s many advanced settings: have fun with colors using the Hue/Saturation/Luminance feature, for example. With the Tone curve, fine-tune light tones, midtones, and dark tones so as to best manage contrast. With the Vibrancy tool, subtly reinforce a tint by taking into account the different colors present in the image. For perfect compositions, manage the proportions in your image with the easy-to-use Crop tool and its adjustable “rule of thirds” grid. infinite number of creative possibilities, apply the effects separately on the light and dark tones of your photo! Rediscover the magic of black & white photography and enter a universe of analog films, thanks to DxO’s advanced calibration technologies. DxO FilmPack faithfully reproduces numerous films, such as Kodak Tri-X, Fuji Neopan, Ilford FP4 Plus, and Polaroid 664. Depending on the rendering you desire, choose a film for its contrast, its grain, or its gray nuances. Up to 38 different analog black & white films are available to you to help you reveal your artistic sensibility or to find a familiar style again. Enhance your black & white photos: DxO FilmPack’s new fine micro-contrast tool is more efficient for adjusting local contrast and gives you more flexibility. The algorithm applies a multi-scale filter that blurs the details, while preserving the marked contours of the image. The contrast is visibly reinforced by avoiding halo effects and it is particularly enhanced in highlights. It is also possible to act on each luminosity range – highlights, midtones, and lowlights – for ultra-precise adjustments. Ideal for increasing the dramatic intensity of a landscape photo or for giving a distinctive look to a portrait by highlighting the details in skin tone. You can use DxO FilmPack both as a standalone application and as a plugin for Adobe® Photoshop®, Adobe® Photoshop® Elements®, Adobe® Photoshop® Lightroom®, Apple Aperture®, and DxO OpticsPro. In standalone application mode or as a plugin for DxO OpticsPro, you can directly process your TIFF, JPEG, and RAW images in just a few clicks. In plugin mode, you can follow your regular processing workflow while enriching your Adobe or Apple solutions. Process your images even more easily, thanks to DxO FilmPack’s new interface — even more simple and intuitive! Use the integrated file browser to choose your work directory and instantly see all the images it contains. Quickly access all presets, effects, and settings grouped together in the unique lateral control panel. Select the style that best matches your taste: analog film or Designer, color or black & white, with or without a toning effect or a frame — the combinations are infinite! Click on a thumbnail: the processing is applied immediately. Want to give your photo an even more unique style? Go into the Settings, take control of the sliders, and modify all of the parameters. In just one click, find the presets you use the most in the Favorites tab in the presets window, and easily find any of the available presets by using the Search tool. Easily share your images via your Facebook account. – Improves program stability when mounting disc images with the Virtual Drive function. – Implements the latest YouTube API (application program interface) to adopt the modified YouTube sign in mechanism. – Implements the latest Facebook API to adopt the modified Facebook sign in mechanism. – Fixes other minor bugs. DriverMax is a new program which allows you to easily reinstall all your Windows drivers. No more searching for rare drivers on discs or on the web or inserting one installation CD after the other. Simply export all your current drivers (or just the ones that work ok) to a folder or a compressed file. After reinstalling Windows you will have everything in one place!Most of the situations when Windows is running slower are caused by faulty driver installations. Windows stores all versions of older drivers just in case you want to go back; sometimes it messes up older versions with more recent ones. The Export Wizard will only export the drivers you select by copying the needed files to a folder or a compressed ZIP file.After reinstalling Windows all drivers will be back in place in less than 5 minutes – sparing you of searching, inserting disc after disk and losing precious time. The Import Drivers wizard allows you to install all the drivers that you exported earlier. The entire operation might take up to 5-10 minutes. • Quick and easy recovery of desktop and laptop computers with Windows, both local and foreign, including from scratch on a different hardware, virtual environments or remote locations . • Backup to almost any disk drives , including USB, FireWire, NAS, SAN and Blu-ray. • Unobtrusive automatic conversion of physical to virtual (P2V) and virtual to physical (V2P). • Copy and protection of the entire system, including the OS , applications, all files , device drivers, and other things, by creating a single easy-to- manage recovery point with image-based technology . • Schedule backup to run unattended , including backup upon the occurrence of certain events, without any negative impact on the user experience. • Built-in AES software encryption of backups ensures the protection of business critical data . • Significant reduction in downtime and elimination of interruptions , and reduce the efficiency of the employees. • Replacing the long recovery process of desktop and laptop computers , operated manually , error-prone , for fast, reliable , automated recovery systems. • Recover all the necessary information at the right time and right place, including individual files, folders, or system in a matter of minutes . • Eliminating the need to use the backup to restore the redundant hardware and, as a consequence, the cost savings on hardware. • Simplified procedures modernization and transfer of hardware. • Centralized management of backup and recovery for multiple desktop and mobile systems within the organization ( via Symantec System Recovery Management Solution). To manage Symantec System Recovery , you can use user-friendly interface , with little or no user training requires. Symantec System Recovery 2013 R2 delivers superior backup and disaster recovery for Windows servers that enable businesses to recover from downtime or disasters in minutes. With patented Restore Anyware™ technology, IT administrators can rapidly restore exactly what they need, when and where they need it–including entire physical and virtual machines to bare metal or dissimilar hardware as well as files, folders, and granular application objects. Unlike other technologies, Symantec System Recovery also provides cross-platform Physical-to-Virtual (P2V) and Virtual-to-Virtual (V2V) recoveries, making it the perfect complement to physical and virtual environments.